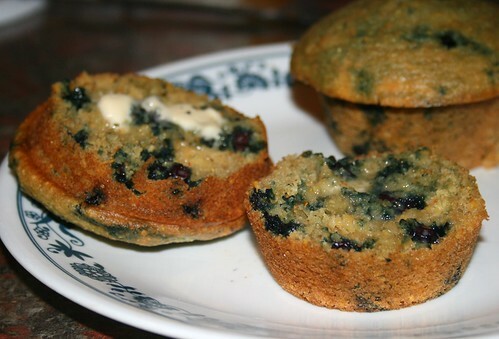 I like this blueberry muffin recipe much more than its predecessor. It has a much better texture, and I like that it's sweetened with maple syrup, which gives it a subtler sweetness. Fill the cups of a lightly oiled 12-muffin tin with the batter. Bake at 350 degrees Fahrenheit for 25-27 minutes. Allow muffins to cool for 10-15 minutes before removing from tin.